Today was my first day of filming with my custom shoulder rig. And to sum it up in a word: sweet. The rig is light, easily shifts aside so I can have off-camera conversations, and rock-steady when I need it to be. One limitation is that everything starts to look like it’s shot at eye level because, well, it is. But I discovered a workaround for that today: wear knee pads. Seriously. With knee pads on, I can drop lightly to one knee while shooting, and put the camera at the same level as I’d be if I were hand-holding the camera football style. Touchdown! This entry was posted in News on January 30, 2011 by Dan McComb. I finished editing this film last week, and it’s now public. It’s the third of four short films I am making that promote Eton School, a Montessori School in Bellevue. The kids and staff at this school made creating this piece a real pleasure. This entry was posted in Video clips on January 30, 2011 by Dan McComb. Visual Contact relaunches officially today, a company that I’ve been running for more than a decade, but that until until now was focused on web development. As of today, Visual Contact will focus exclusively on producing videos for commercial clients, with a focus on the needs of schools. 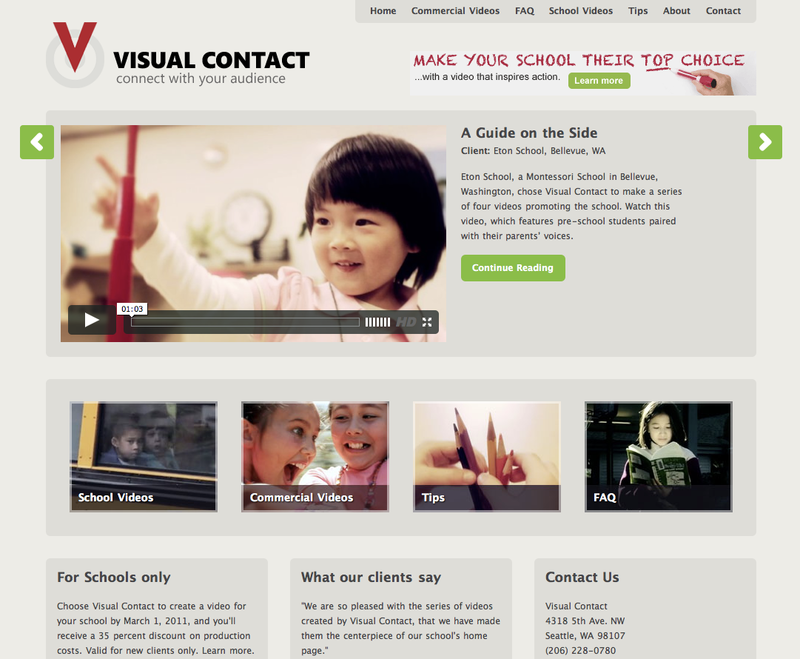 Check out the new site at http://www.visualcontact.com. This entry was posted in News on January 27, 2011 by Dan McComb. Sunset at Post Office Bay, Floreana Island, Galapagos. This entry was posted in still photos on January 26, 2011 by Dan McComb. Green turtles must find deserted sandy beaches to lay their eggs. Trouble is, virtually all the open sandy beaches are colonized by sea lions. But not this one. Why? Because sharks have long used this bay for sleeping – marking it permanently off limits to sea lions. But not to turtles, who have migrated here for generations, mating in the shallow water and crawling ashore to lay their eggs at night. The beach gets its name from the flour-like consistency of the sand. In addition to the turtle hatchlings, large numbers of young sting rays spend their childhood in the surf along this beach, before heading out to sea. This entry was posted in still photos on January 25, 2011 by Dan McComb. 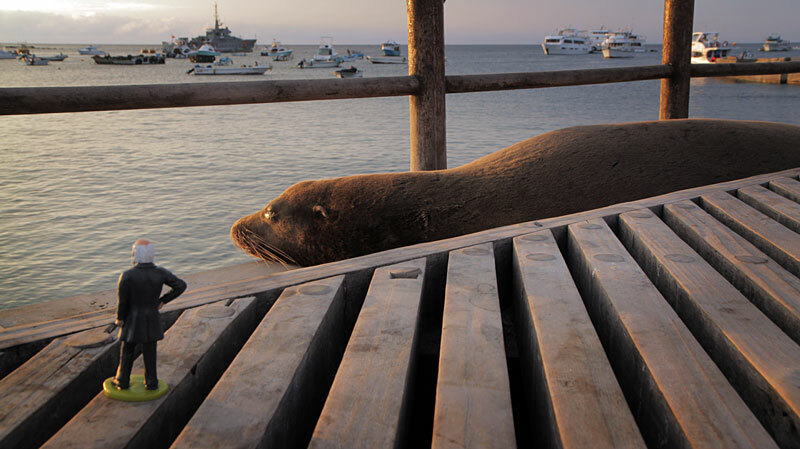 Puerto Baquerizo Moreno is the second-largest town in the Galapagos, located on the island of San Cristóbal. This entry was posted in still photos on January 24, 2011 by Dan McComb. 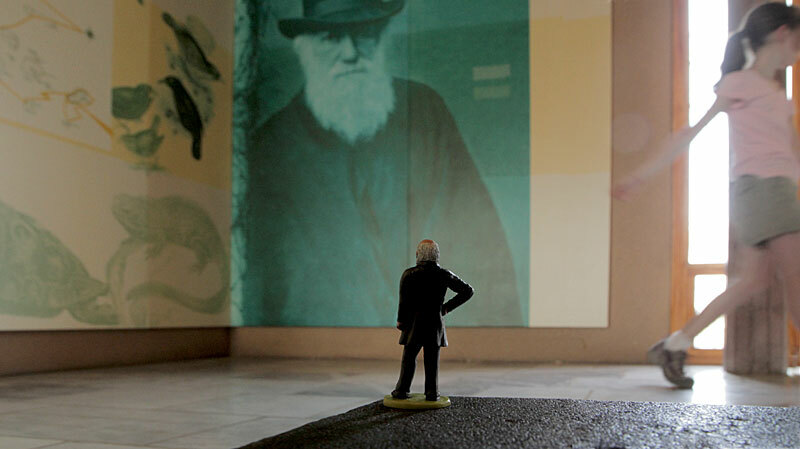 Less than a mile from the spot where Darwin first stepped foot in the Galapagos in 1835, the San Cristóbal Interpretation Center gives visitors an opportunity to reflect on Darwin’s legacy, and learn about preservation efforts made by the Ecuadorian national park service. This entry was posted in still photos on January 23, 2011 by Dan McComb. 1. 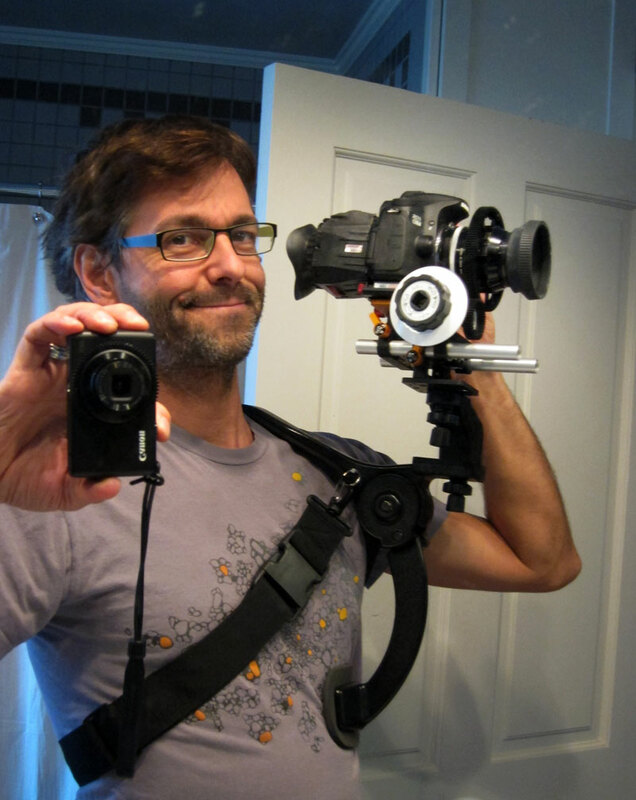 Is balanced – I can completely let go with my hands without the rig falling over. 2. Is light as possible – no shoulder-numbing counter balance weights need to be added. 3. 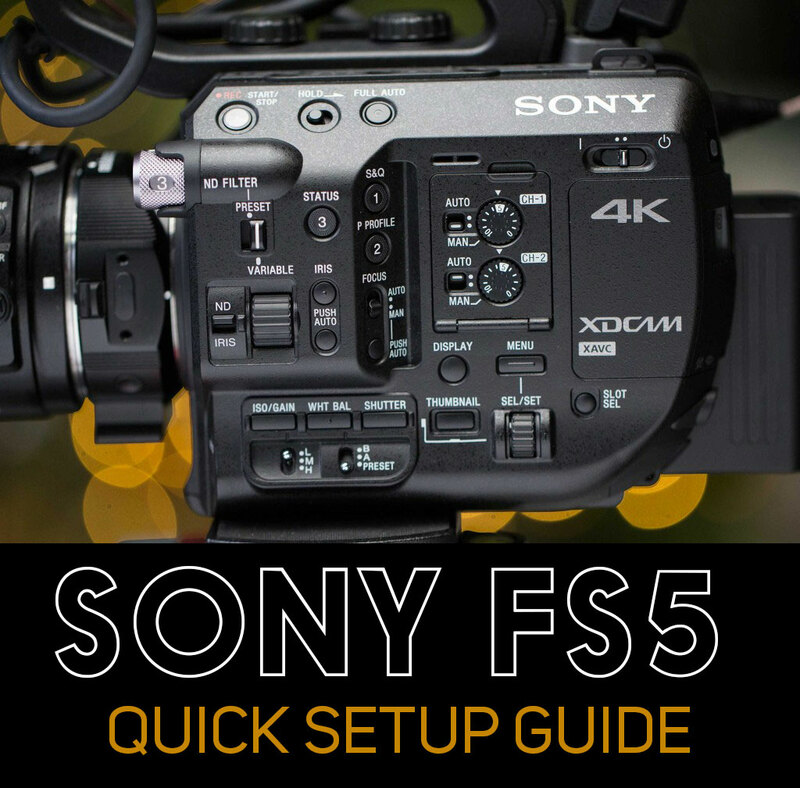 Includes follow focus for smooth cinematic focusing on the fly. 4. 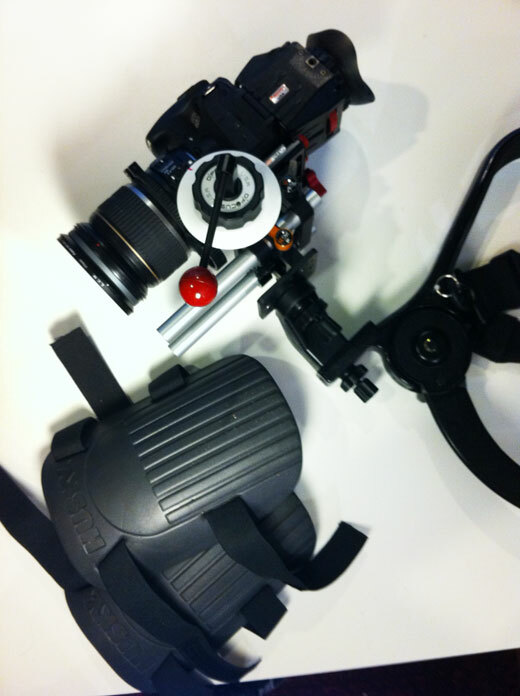 Is ergonomic – Z-finder is positioned in front of my right eye; I can comfortably use rig for longer than a few minutes. 5. 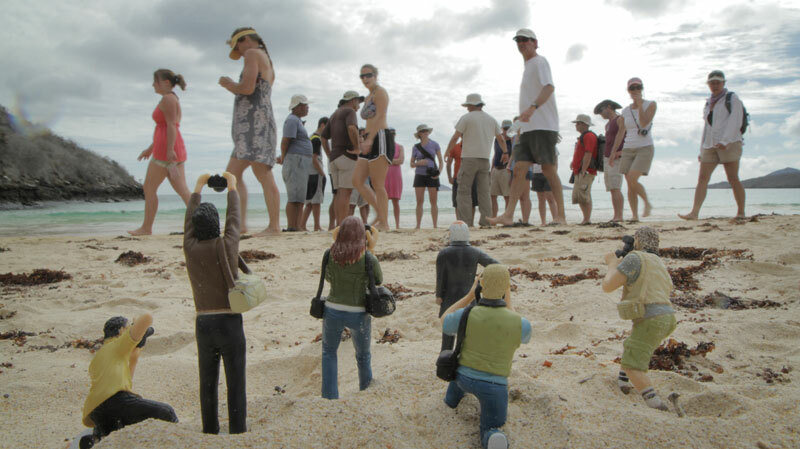 Can be quickly reconfigured – camera can quick-release for use on tripod. 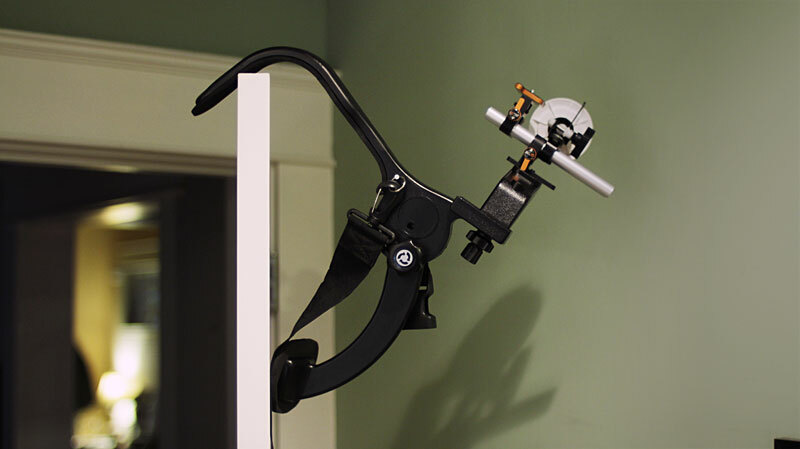 *Also needed are the Zacuto Z-finder, mounting frame, and gorilla plate. But I won’t count that in the cost of the rig, since it’s really a separate bit of mandatory kit. You might think that it would be hard to breathe while holding still a rig that rests partially on your lower chest, but it’s not that bad. The camera will move slightly every time you take a breath, but it’s easy to adjust your breathing pattern slightly for maximum stability (it simply involves being mindful not to push out your chest when inhaling – it’s easy to expand lungs down and sideways instead). I was worried that the $69 stock would be cheap plastic, and it remains for me to use it awhile before the verdict is fully in. But it feels very solid. And as far as the Jag-35 components go, I’ve been very satisfied with the quality of their gear. 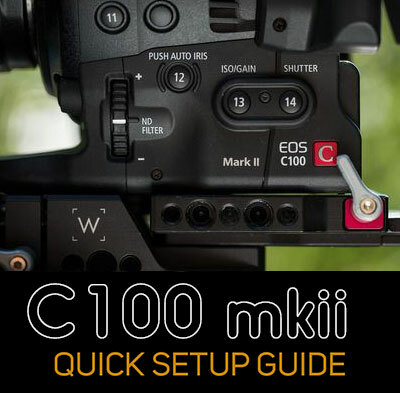 It’s not top-of-line stuff, but it’s solid and dependable and simple, and a fraction of the price of competitors like Zacuto. That’s a winning combination for me every time. UPDATE: Incredibly, I just found an apparently identical version of the $69 stock listed on Cowboy Studio via Amazon for $29.95. How’s that for a deal? Brings the total cost of this rig down to under $500. Sweet. This entry was posted in Product reviews, Tips on January 22, 2011 by Dan McComb. 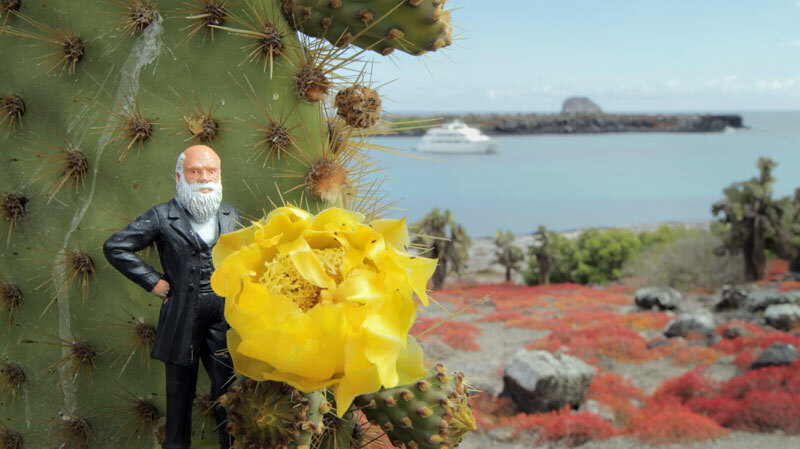 A large prickly pear cactus tree blooms on colorful South Plaza Island. The orange of the Sesuvium ground vegetation indicates it’s dry season. 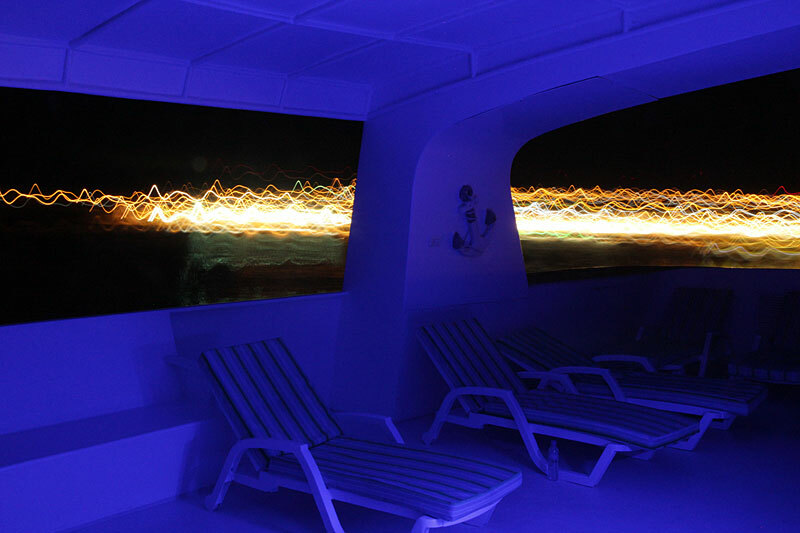 In the background, resting at anchor, is the 103-foot yacht Treasure of the Galapagos, our home during the trip. This entry was posted in still photos on January 22, 2011 by Dan McComb. At anchor off San Cristóbal, the easternmost of the Galapagos Islands. Geologically the second oldest island in the archipelago, it is the first island Darwin landed on during his 1835 Beagle voyage. This entry was posted in still photos on January 21, 2011 by Dan McComb.